Ramen. Hong Kong loves it. We line up for hours in the rain just to get a bowl of the Japanese noodle soup. And it’s not just down to the taste. It’s also down to the ingredients and craftsmanship which goes into creating this quintessential dish. 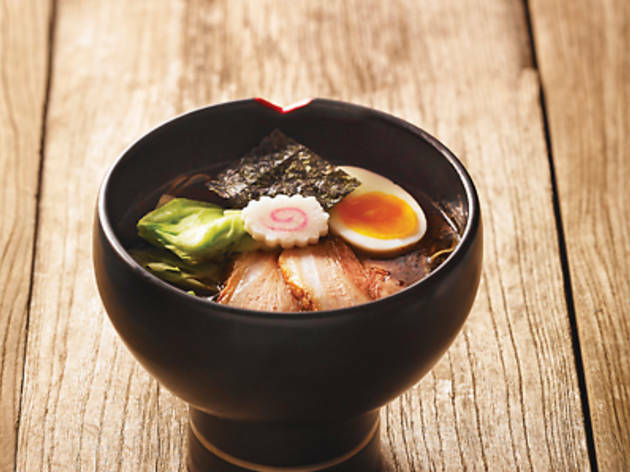 As a result of our love affair with ramen, we always expect top standards. So we head to new IFC mall joint, Gogyo, with high expectations. 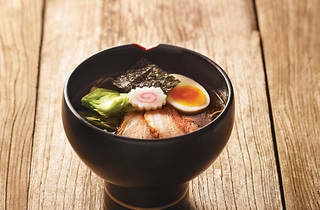 ‘Ramen King’ and founder of the insanely popular Ippudo chain, Shigemi Kawahara, has just opened the first iteration of this Japanese chain outside of his home country. There’s pedigree written all over this high-end dining experience with its chic surrounds. We go for the signature Gogyo Kogashi miso ramen ($128), where the miso is roasted with extra oil for an intense caramelisation. It results in a strong taste with bitter notes which adds real depth to the broth. The effect, though, is that everything else in the bowl seems arbitrary compared to the super-flavoured soup. In contrast is the clean-tasting tanrei shio ($108), which has a clear broth made from dried sardines and chicken bones, where we can pay attention the details – and despite the soup being refreshing, the noodles really aren’t anything to write home about. Gogyo does serve a special thick type of chewy noodle in its kuro ramen ($108), which absorbs the broth well and has an interesting bite compared to the other noodles. However, the soup is fairly plain – and although the menu describes it as containing peppery black garlic oil, we can’t pick up on this at all. Gogyo Shop 3020, 3/F, IFC mall, 8 Finance St, Central, 2385 1366; facebook.com/gogyohk. Dinner for two: $300.